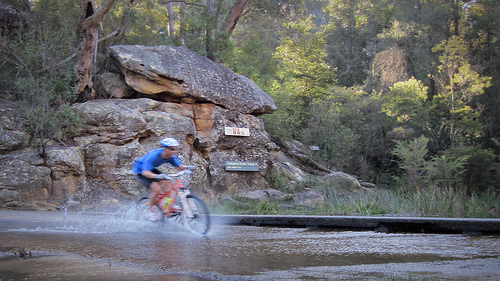 Whether you like riding on dirt trails, sand-filled beaches, or mountainous terrain, or just about anywhere in the outback, Australia offers hundreds of great locations to put your mountain bike to use. A mountain bike is a great option for anyone who likes to take his or her bike rides off the beaten path. With rugged tires and tough shocks these bikes are the perfect compliment to almost any type of “road” condition you can find in Australia. There are a lot of different styles of mountain bikes to choose from and getting the one that fits you right is very important in order to get the most enjoyment out of your rides. Your local bike shop is a great place to begin your search for a new mountain bike. They are experts who are very knowledgeable in the bicycle industry and they can help you find just the right mountain bike for you. Cross Country – Cross Country mountain bikes are durable, but they are more designed for racing events with large hills and quick turns. They are not designed to handle the rough impact of large jumps. Trail – Trail bikes are the “cover-it-all” mountain bike designed for several different uses. They are good for on and off-road riding and are the most common type of mountain bike. Dirt Jump – Some riders really like to use their bikes for big air. If you’ve ever seen one of these competitions on TV then you know these bikes can soar through the sky. All Mountain – All Mountain bikes take it to another extreme as these bikes are commonly used for competitions where riders race down a hillside on a track with jumps, obstacles and sharp curves at break-neck speeds. They offer rugged tires and full suspension. Downhill – This type of mountain bike is good for going down a hill, but not so much for heading back up. They are designed for downhill speed while being able to handle small obstacles and bumps in the road. 29er – 29er mountain bikes are somewhat new to the industry. It used to be that almost all adult bikes had 26-inch wheels. However, the larger wheel has become a popular choice with riders. They can offer a better ride on trails as they move over obstacles with more ease and offer better momentum once they get moving. When you go shopping for a mountain bike it’s a good idea to know what kind of riding style you’re looking for. For example, if you plan to ride the rough terrain of Australia’s outback then a trail bike may be best for you. On the other hand, if the trails you ride are steep descents on rugged hillsides an “all mountain” bike might be better. You should also know how much you want to spend on a bike as this can narrow your search considerably when shopping. Another thing that is always a good idea is to test-drive several different bicycles. This can help you know which style fits you best. Something else to keep in mind is that mountain bike frames are also different. This is especially true with 26ers and 29ers. These bike frames are not interchangeable; a 29-inch wheel will not fit a 26-inch frame and vise versa. Richard Green is a cycling enthusiast who loves all form of cycling. When he is not climbing hill on this road bike, he loves shredding the trails of Queensland on this mountain bike. 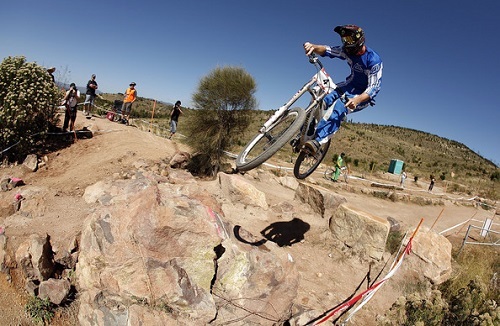 This entry was posted in Australia, Land Sports, Mountain Biking, Travel and tagged Australia, Mountain Biking. Bookmark the permalink.